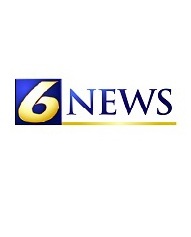 Home / News / Business News / WJAC-TV: $20M Coal Cleaning Plant Opens in Clearfield Co.
CLEARFIELD – A $20 million coal cleaning plant has opened in Clearfield County. The plant, which is operated by RES Coal LLC., is located along state Route 153 in Boggs Township. Company officials said right now, there are only a handful of employees. However, once the plant is fully-operational, they expect to have 20 plant jobs. They also expect the plant to create about 40 construction jobs. “It’s a state-of-the-art facility. It is a no-discharge facility. It is in full compliance with all the current regulatory issues. It is a long-term job place,” said Robindale Energy Services President Scott Kroh. The new plant sits on a 50-acre site and will utilize water from Clearfield creek. The creek will assist with cleaning mid-vol bituminous coal that is mined into a higher quality coal. The refined coal (metallurgical and steam) will be sold both domestically and overseas, officials said. The plant will clean approximately 3,000 tons of raw coal per day. It will then be fed to the plant by a conveyor system and cleaned before exiting the plant to be either trucked or railed away, officials said. Company officials said that the plant will reduce the ash from 15 percent down to 8 percent. It will also decrease sulfur from 2 percent down to 1 percent. Officials said on a daily basis, the plant is expected to ship approximately 133 truckloads or 30 rail cars by RJ Corman Railroad and Norfolk Southern Railways of clean and reject coal. The reject coal will be burned at a power plant. “It is not only going to be helpful for Clearfield County. It is going to be helpful for Pennsylvania and the whole world,” said State Rep. Camille “Bud” George. “We had a plan and we worked really hard so you think you know what the outcome is going to be. Until it actually happens at this scale, you can’t really say that it did. So now it is like a dream come true,” said RES Coal president, Mitch Harvey.